This is a sponsored conversation written by me on behalf of Beech-Nut® Naturals™. All opinions and experiences are my own. Before I became a parent, I thought I’d read enough parenting books and articles to prepare me for motherhood. Then my first-born arrived and everything I thought I knew got flipped on its head. If I had to describe what it’s like to be a mom, I would say it’s the most rewarding job I’ve ever had but still don’t feel qualified to do. If you’re a new mom, or you’re expecting, here are a few things no one tells you about the first year of motherhood. When I became a first-time mom I envisioned that most of my days would be spent doting on my new baby. Nobody prepared me for the realities of motherhood, and at the time, I even believed there was something wrong with me. Maybe I wasn’t cut out to be a mom? Since my oldest had colic, I really struggled during the first few months of her life. You may wonder, will the bad days overshadow the good ones? Absolutely not. Is it easy? I would be lying if I said it was. But nothing trumps those precious moments you’ll share with your baby. When you realize how much love and joy your baby brings into your life, the tough days will be a distant memory. So my advice is to be prepared for days that will stretch you in every possible way, but remember to savor the good ones. Parenting books are great, but my children taught me more than what any parenting expert ever could. My inconsolable babies taught me to be more patient. My children’s need for undivided attention taught me to slow down and be fully present. And seeing the joy in my children’s faces when they discovered something new, has taught me to appreciate the little things in life I often take for granted. Although this isn’t my first rodeo, most days I’m just winging it. And if you ask another mom, she’ll probably tell you the same thing. None of us are perfect and we’re all just trying to do our best. There are days when my baby simply wants to be held and there’s nothing I can do to change that. Although previous parenting experience has prepared me for a few of these curveballs, most days, I’m simply clueless. So don’t beat yourself up if things don’t go as planned, just trust your mother’s intuition and let the rest go. No two babies are alike. Your baby is a unique little human that will have different challenges and experiences from other children. Don’t be discouraged if your friend shares that her baby has reached a new milestone that yours hasn’t. 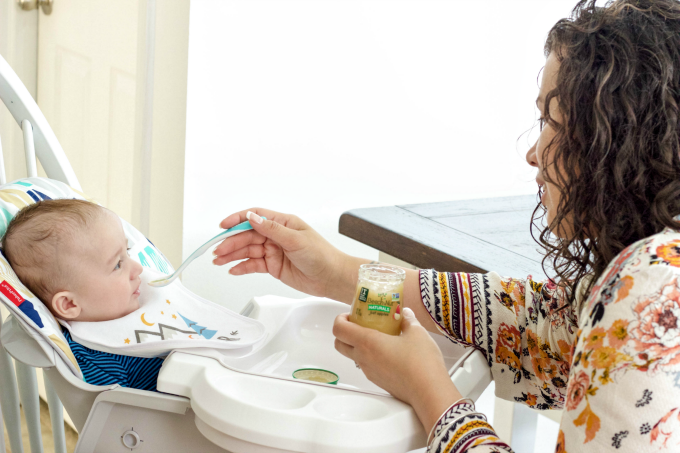 Your baby is the one that will determine when he or she is ready to try something new and there’s nothing you can do to speed up the process. Speaking of milestones, my little guy is now eating solid foods. It seems like it was only yesterday that I was meeting him for the very first time. Knowing he will be my last baby makes this a bittersweet moment for me. 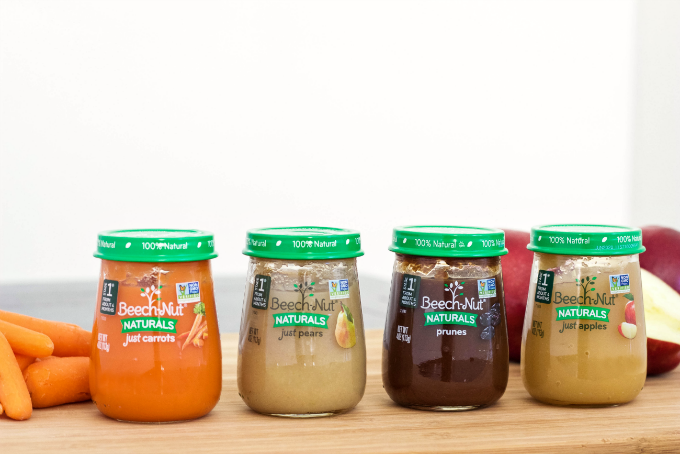 He’s been loving Beech-Nut® Naturals™ baby food. As a mom, I love that Beech-Nut Naturals is inspired by homemade and made with real fruits and vegetables, just like I use at home. I love that the simple flavors will help encourage my baby boy to develop a love for fruits and vegetables. His current favorites are Beech-Nut Naturals Just Apples and Just Carrots. Beech-Nut Naturals is also 100% natural, nothing artificial with only ingredients you can pronounce, and your baby could pronounce. They also have an organic line with slightly different flavors! 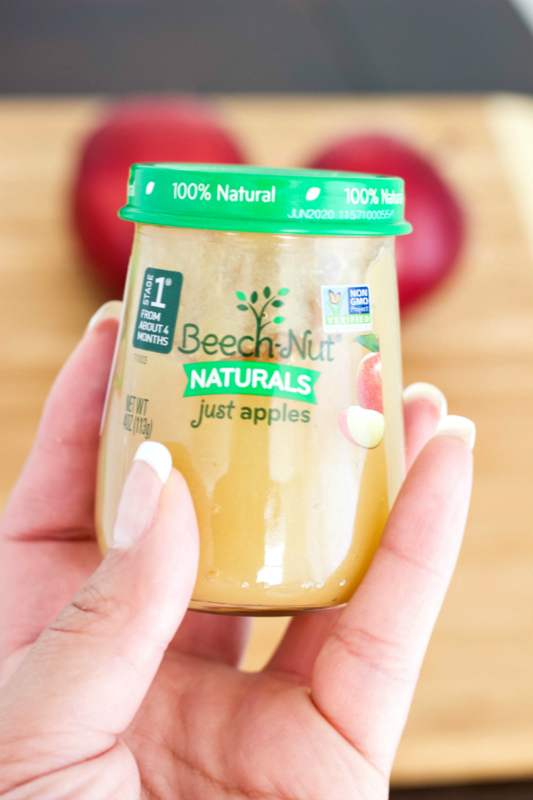 Learn more about Beech-Nut Naturals real food for babies™, read parenting tips, and discover new recipes at www.beechnut.com. 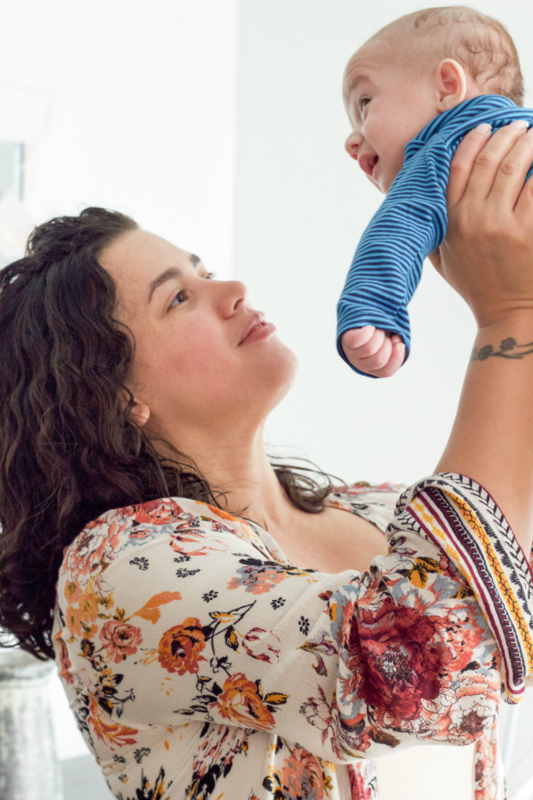 If you’re a new mom or you’re expecting, remember that the amount of love you’ll have for your sweet baby will help you get through the ups and downs of the first year. It’s truly the most rewarding job you’ll ever have. What advice would you give to a mom-to-be? I would love for you to comment and share below!